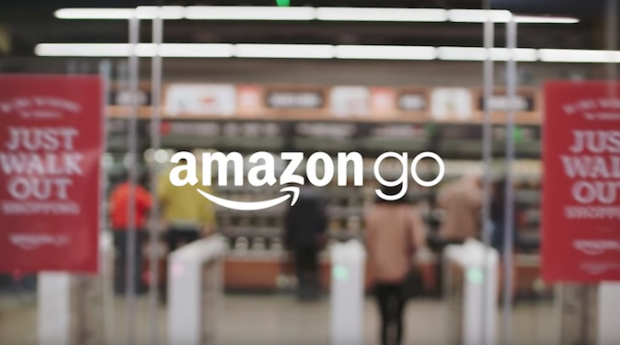 Amazon is reportedly planning to expand its ‘just walk out’ Amazon Go stores in a major way. It won’t get away, however, without some steady competition from other big players. Amazon is testing its ‘just walk out’ technology in larger format retail locations, according to a report in the Wall Street Journal (WSJ). The technology is being trialled in a “larger space formatted like a big store,” though the system still seems to have trouble with “bigger spaces with higher ceilings and more products,” sources told WSJ in a 2 December article. In October, Walmart announced trails for a store operating on similar technology to Amazon Go’s. The experimental offering would be available only to members of its exclusive Sam’s Club subsidiary. The trial store, ‘Sam’s Club Now’, opened in Dallas in November. “The future of retail is as much about people as it is about technology,” wrote Jamie Iannone, Sam’s Club CEO and executive vice president of membership technology, in October, prior to the Now store’s opening. According to reports the futuristic retail locations were originally planned to begin rolling out in 2017, however due to a software problem, the stores would break whenever there were more than 20 customers present. The issue seems to have been solved since. A total of seven Amazon Go stores have launched in Seattle other US cities including Chicago and San Francisco. According to reports, Amazon plans to open as many as 3000 active Amazon Go sites by 2021, however no indication has yet been made of when stores will begin appearing outside the US. In June of 2017 Amazon acquired the popular organic supermarket chain Whole Foods. Though the company has stated in the past that it has no plans to implement the technology in Whole Foods stores, the WSJ’s sources say they would be the “most likely application” of the ‘just walk out’ technology’s updates.